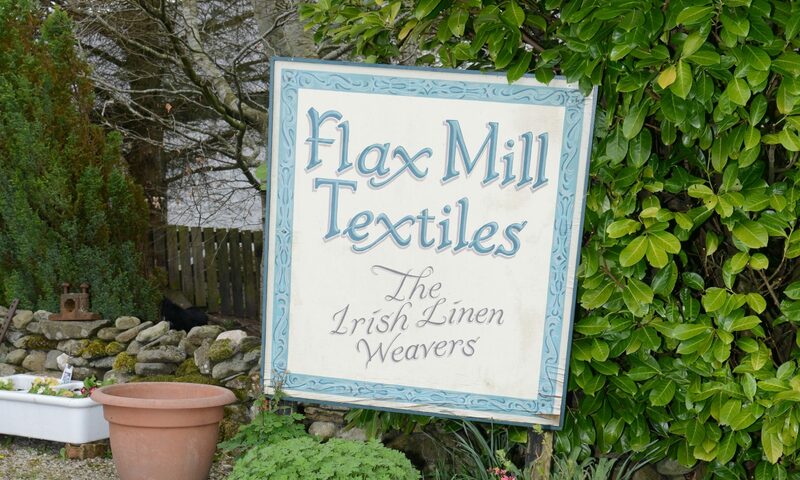 Hermann and Marion Baur, the couple who form the living dynamo behind Flax Mill’s success, are just as passionate about the ethics associated with their work as they are about producing quality textiles. Their honest and open views stand in clear juxtaposition to the lack of moral or environmental concern exhibited by many modern textile conglomerates. 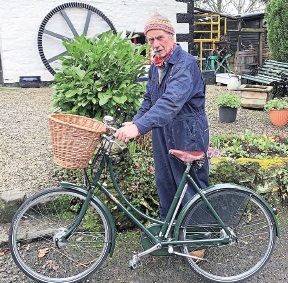 With the kind permission of The Derry Post we are able to share two news features with you in which Hermann and Marion share some of their guiding principles. Please click on the images below to download pdf files of the full articles. 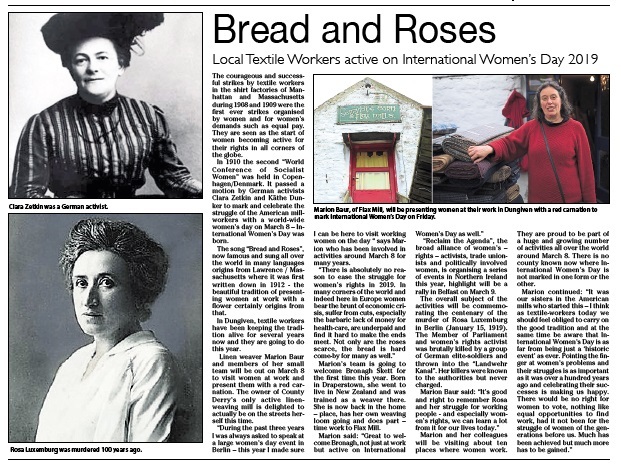 The first feature, “Bread and Roses”, highlights Marion’s strong support for the struggle to win equality for women in the workplace. 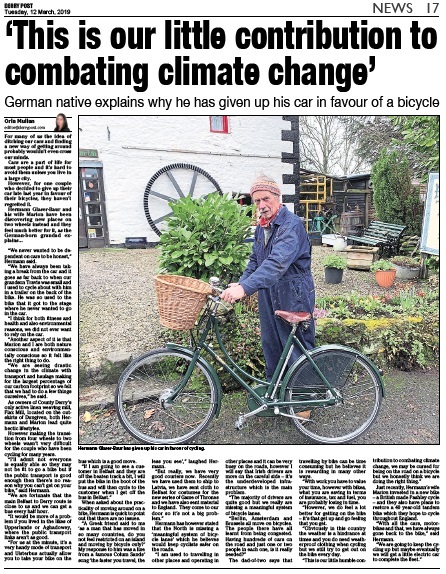 The second news feature highlights Hermann’s drive to reduce The Mill’s climate footprint wherever possible, even if it means exchanging four wheels for two!